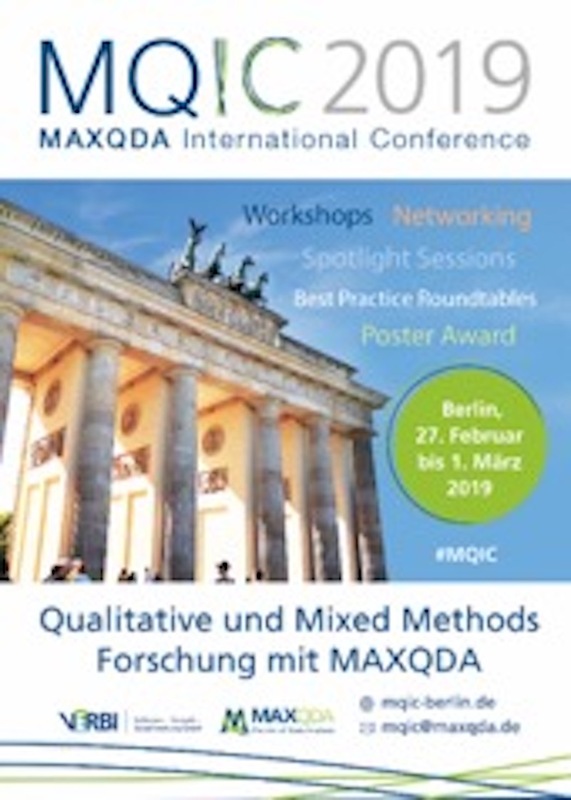 The MAXQDA International Conference (MQIC) will take place in Berlin from February 27th to March 1st, bringing together German and international researchers who work and teach in various qualitative and mixed methods disciplines. The conference is a unique opportunity to attend methodologically-focused workshops, network with other MAXQDA users, and meet the MAXQDA development team. In addition to full- and half-day workshops, the conference schedule is tailored to appeal to MAXQDA users of all skill levels. The conference fee covers participation in the following events: the keynote address, five Spotlight Sessions, the Best Practice Roundtables, the Poster Session, and the wine and cheese Get-Together Networking Event. Dr. Pat Bazeley will be giving this year?s keynote address. For almost 30 years Pat has been providing research training and project consulting to academics, graduate students, and practitioners representing a wide range of disciplines across Australia and internationally.